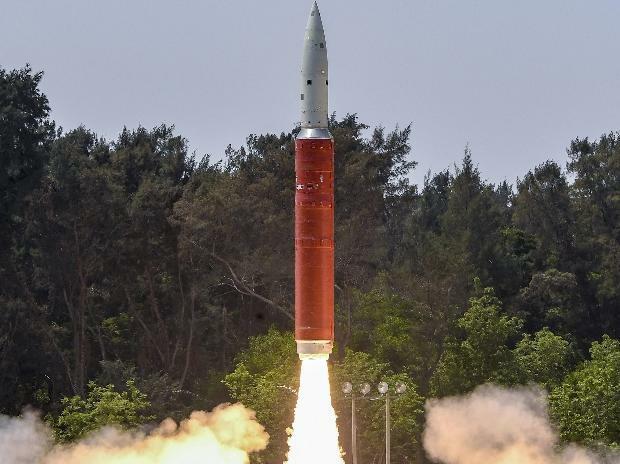 India carved its name among the elite club of four nations with a demonstrable capability of countering satellites in the space. Russia, China and the US are the other three nations. According to experts, this space exercise will act as a deterrent especially against China, since it could increase the cost of aggression for any entity thinking of using space systems for the purposes of threatening. But how much does the government spend on space research from the taxes it collects? 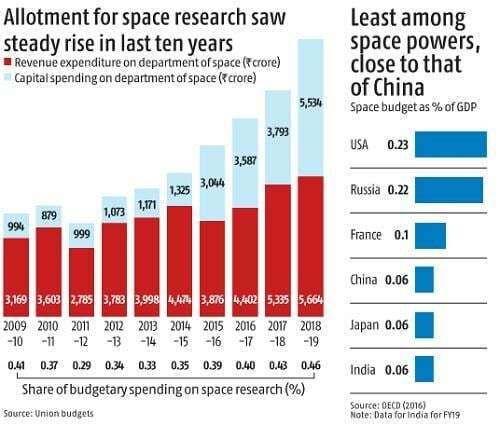 The spending on space research as a proportion of total government spending topped at 0.46 per cent in 2018-19 (FY19). While it was close to this figure a decade ago at about 0.41 per cent of total spending, it had reduced to 0.3-0.34 per cent in between, data presented in the Union Budgets show. Under the current government, it has gradually risen from 0.35 per cent in 2014-15 to 0.46 per cent in 2018-19. In absolute terms, India’s spending on space research almost tripled from Rs 4,163 crore in 2009-10 to Rs 11,538 crore in 2018-19, going through a trough in between. As a proportion of gross domestic product (GDP), however, India’s space budget is the lowest among other space powers, at 0.06 per cent of the GDP in 2018-19. The US and Russia spend almost 0.23 per cent of GDP on space research and exploration, shows OECD's data. In recent years, the jump in spending on space research has mostly been through an improved focus in capital expenditure. From 2014-15 to 2018-19, while revenue spending on space research grew by 27 per cent, capital spending quadrupled. Most of the capital spending from the department of space goes to the Kerala-based Vikram Sarabhai Space Centre and the Ahmedabad-based Space Applications Centre.